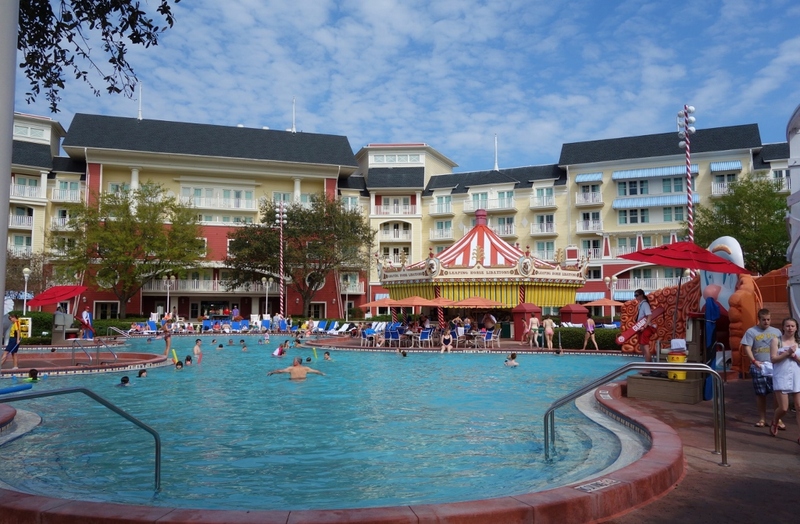 Luna Park Pool is the main pool at Disney’s BoardWalk Inn and Villas. 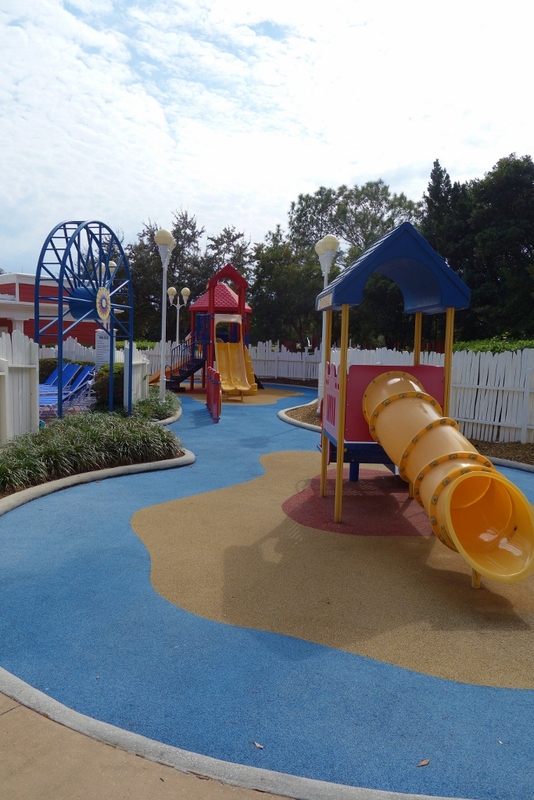 Located in a courtyard formed by Villas buildings, like the rest of the BoardWalk it is meant to recollect seaside amusement parks from early in the 20th century. 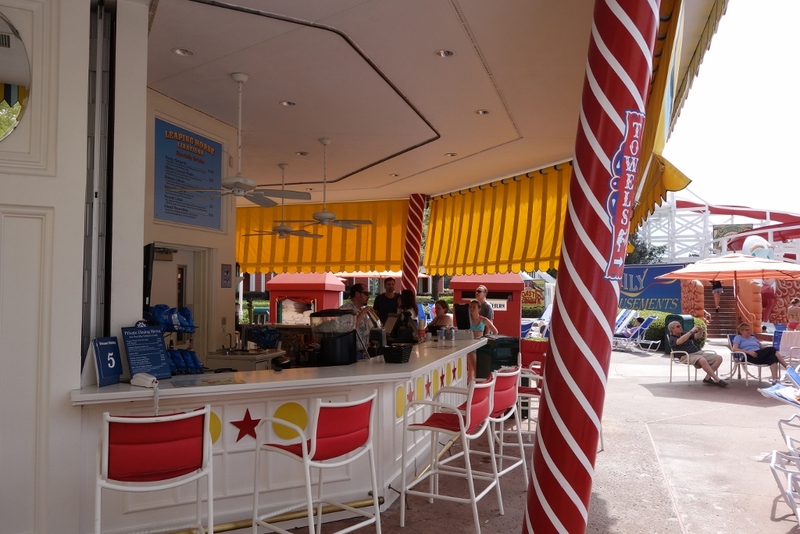 For more on its theming, see Jim Korkis on its history here. 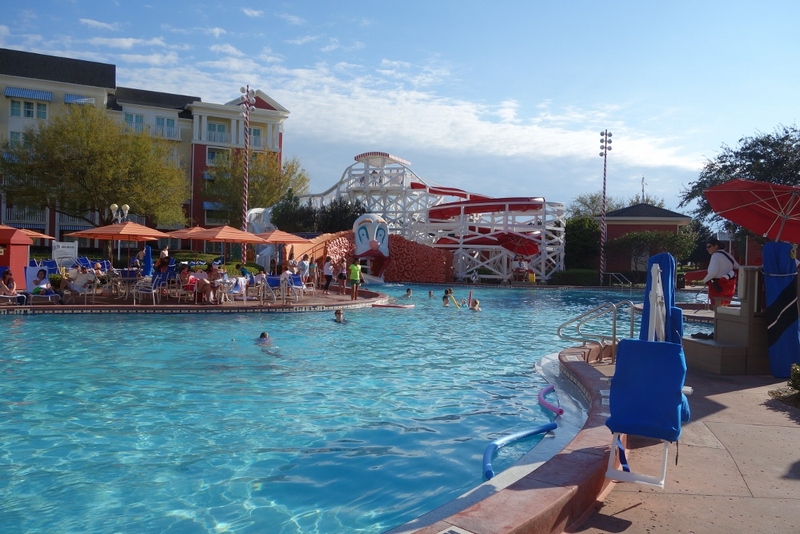 Luna Park has all the basics one would expect from a Disney World deluxe resort pool, but nothing special–no special theming, setting, or offerings. As a result it’s below average among deluxe main pools. 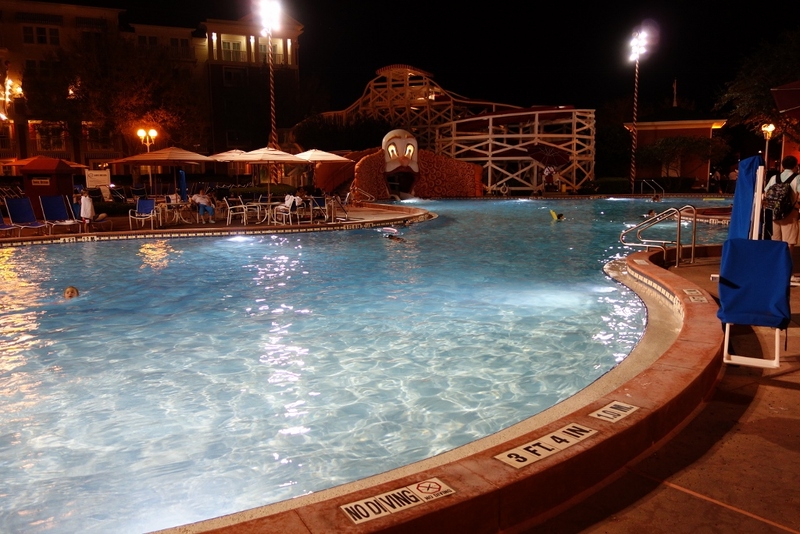 There’s nothing wrong with Luna Park–it’s a fine place to swim, sunbathe, play on the water slide, have a drink at the pool bar. It’s just that there’s nothing remarkable here, either. 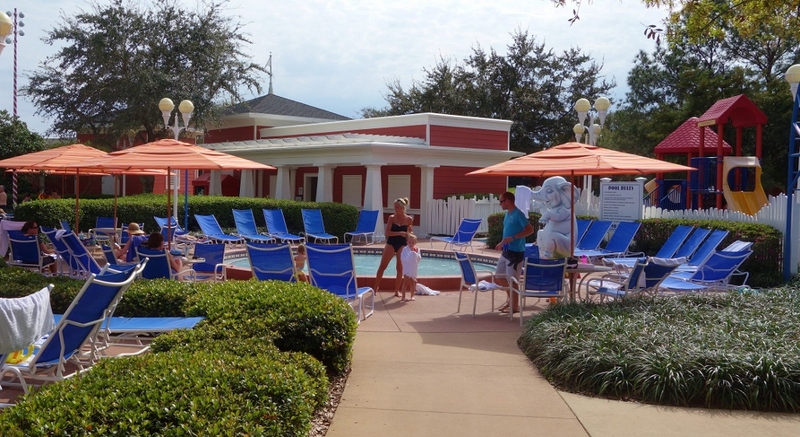 People don’t stay at the BoardWalk Inn or Villas because of the pool. 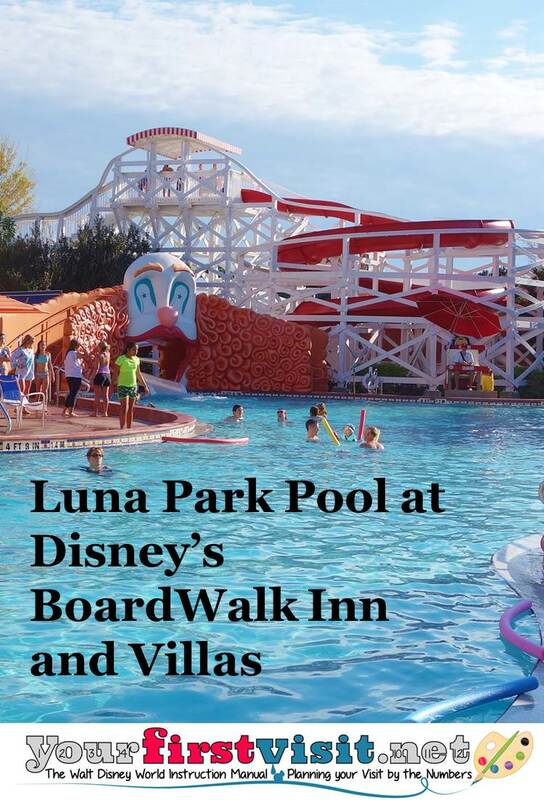 From the Inn, you get to Luna Park Pool by taking the Villa-side elevator bank to the first floor, then head outside. In the image, that puts you at the upper right corner–the area with the curved wall–facing the pool slide. 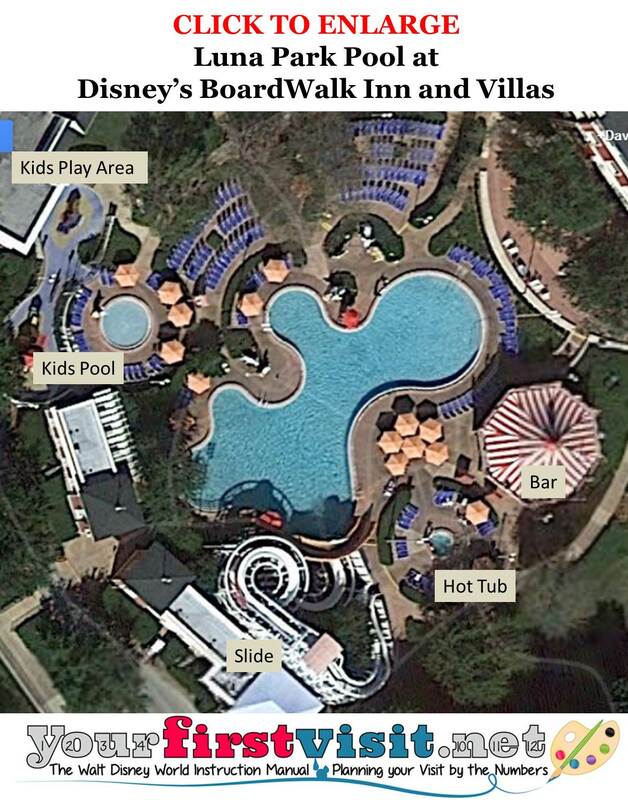 On one side is the kid pool and play area, and on the other the bar, hot tub, and water slide. Here’s the same angle at night. The pool from the other side. 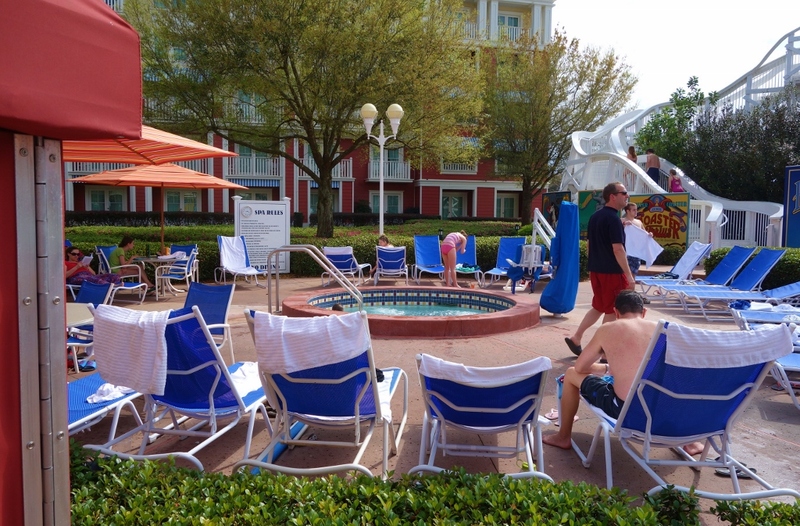 The adult playground–the pool bar–is on the other side. 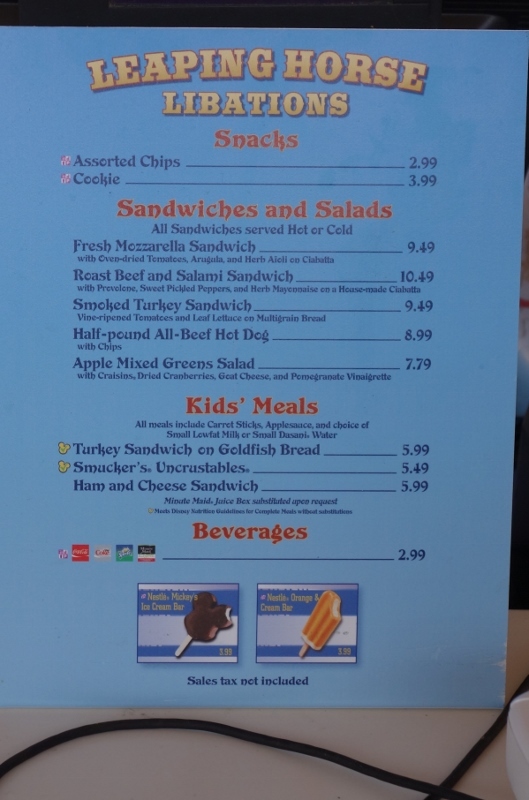 Here’s the food menu at the pool bar. Beyond the bar is the hot tub. You can see beyond the hot tub on the right the stairs up to the fun slide. 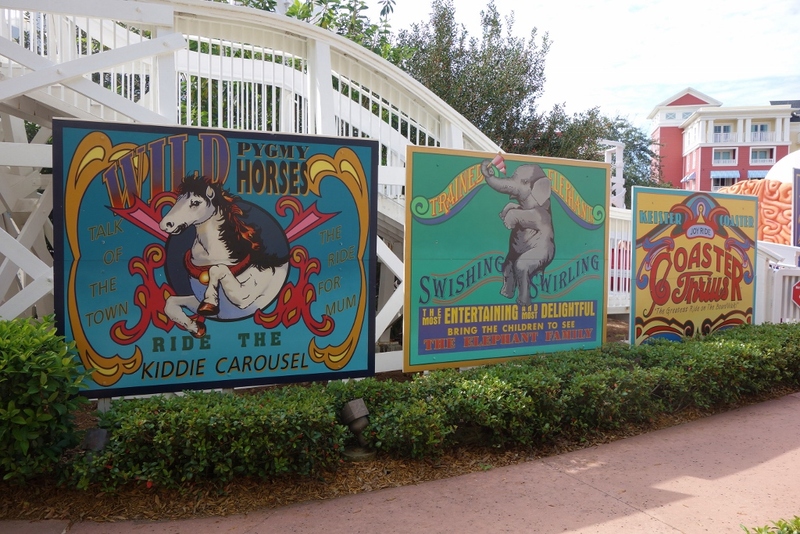 The support wall in this area has signs reminiscent of old-style amusement parks. 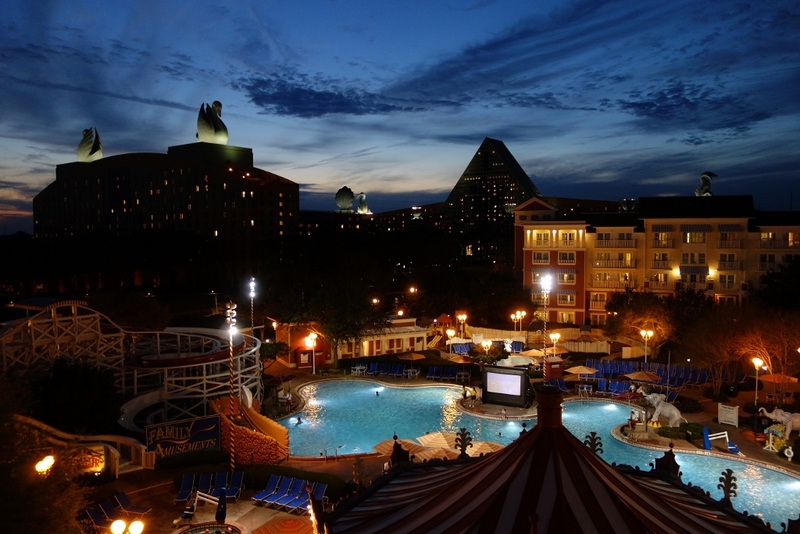 At night, movies are shown at the pool.